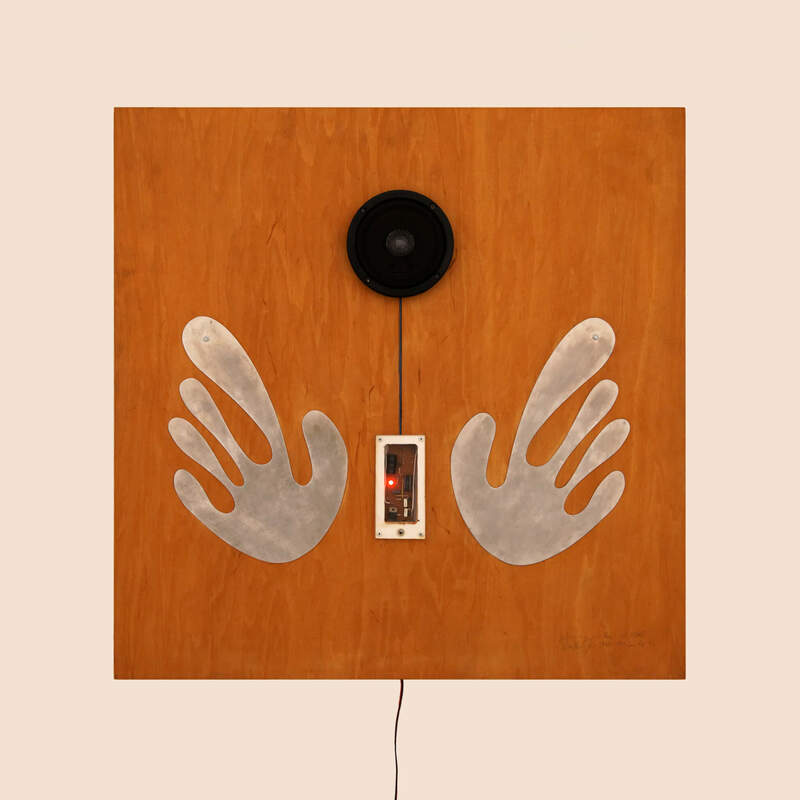 Walter Giers was an early pioneer of electronic art. 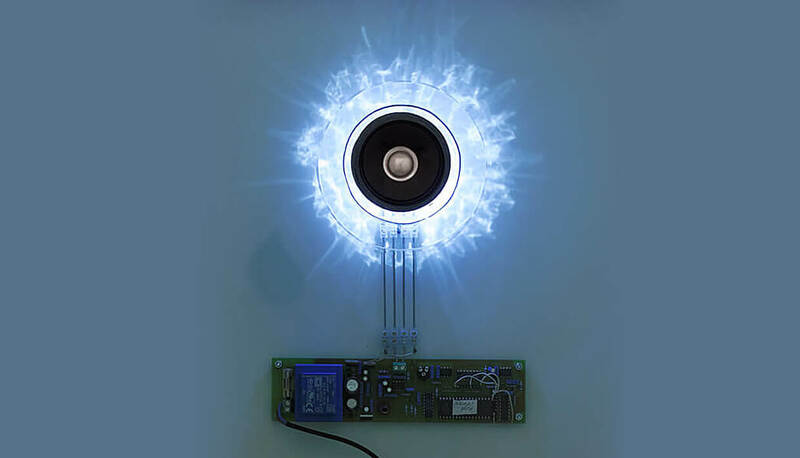 His work combined sound, light and electronic circuitry in a series of kinetic audiovisual constructions. His technique explored the concept of aleatory music—a form in which some element of a composition is left to chance—as well as the use of self-playing instruments and repetitive loops. Giers’ approach endeavored to engage by avoiding static audiovisual repetition. He would often program works to emit random sequences in fluctuating intervals. Giers was born in 1937 in Mannweiler and moved to Schwäbisch Gmünd, where he spent his early years as a jazz musician and later pursued a degree in industrial design. After nearly 30 years of working at the helm of his own design studio, Form Und Funktion, he began teaching at Hochschule für Gestaltung in Karlsruhe. He also acted as an associate artist at the Center For Art and Media Technology (ZKM). These dual platforms introduced him to the practice of developing lighting concepts for cities and urban planning, a craft that laid the groundwork for his own electronic art. The guide below showcases and analyzes some of Giers’ key pieces, all of which are featured in a new retrospective video by EB.tv. 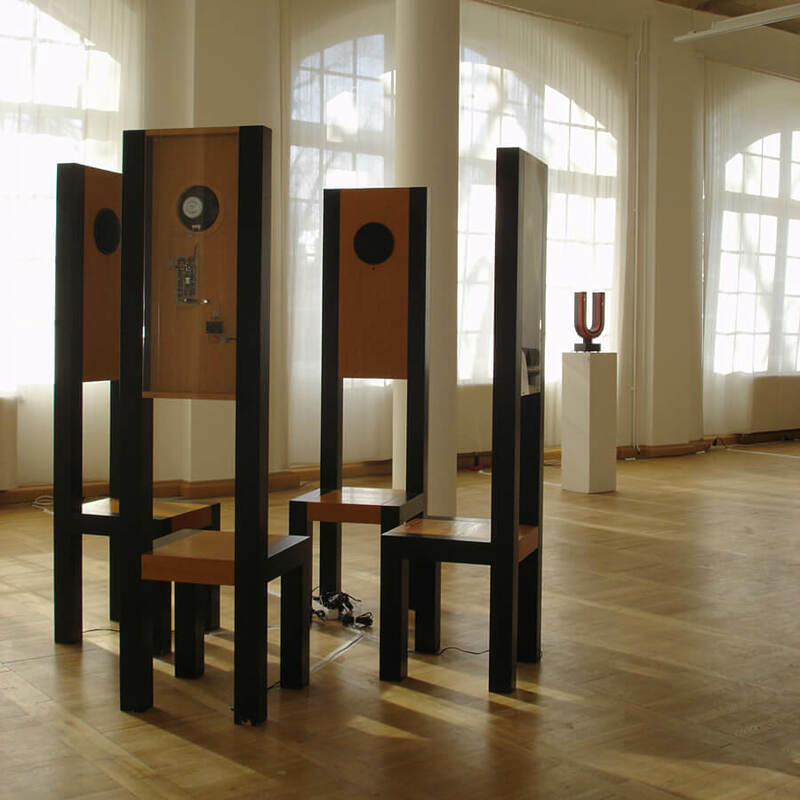 The video was filmed at the Konzept Zufall gallery in Gmünder Kunstverein, a space devoted solely to Giers’ work. 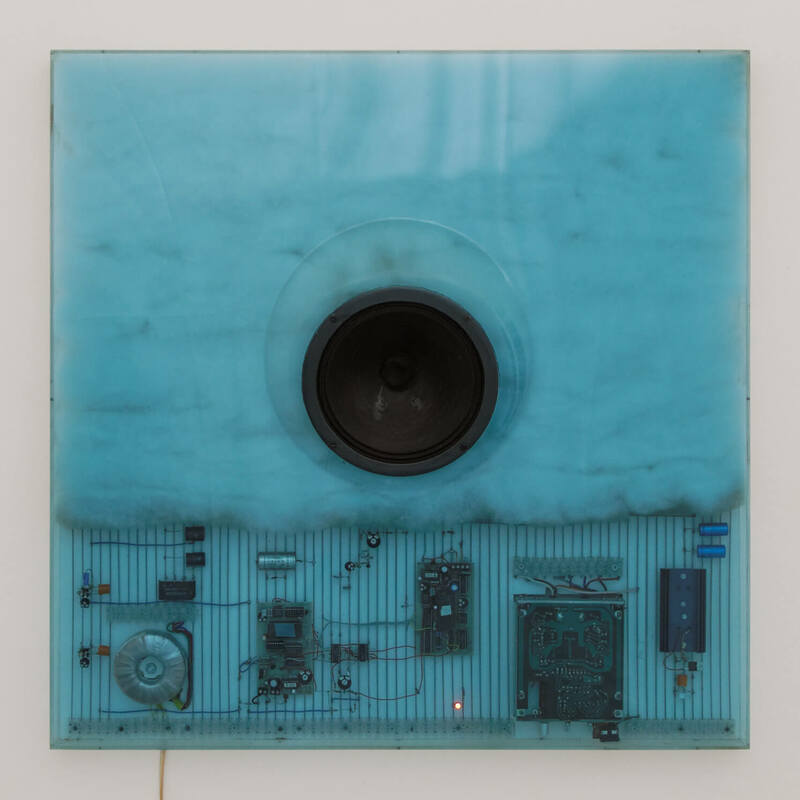 A volcano with a huge speaker in the middle made out of acrylic, light-emitting diodes, circuits and speakers that erupts and emits sounds at random. 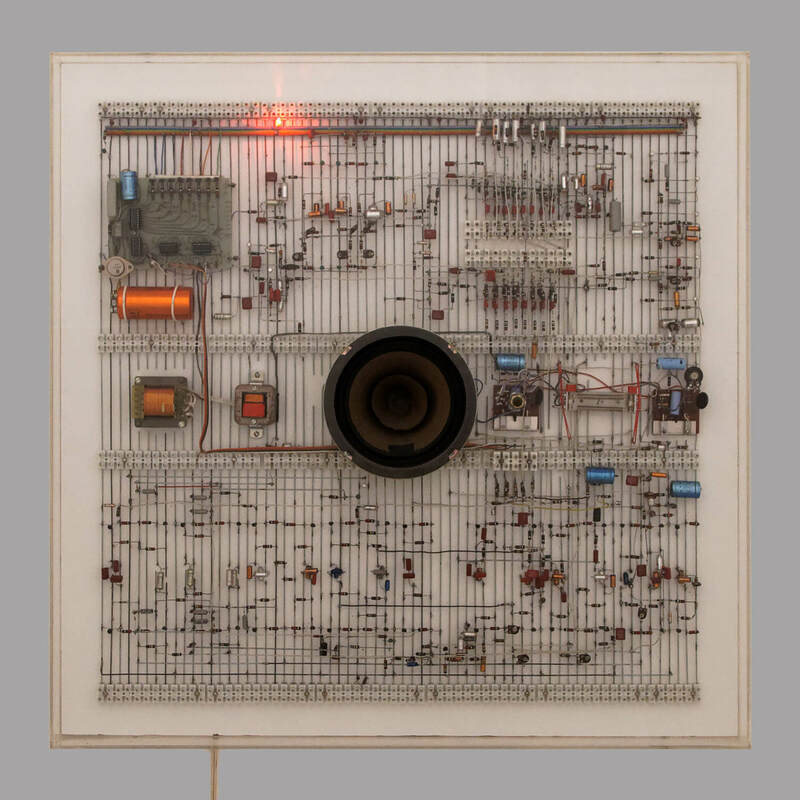 This self-playing synthesizer, Giers’ first large concert object, tells the story of an encounter between a bachelor and a woman who have a brief encounter and part ways the next morning. It works by playing repeating sequences at random intervals. An iconic and oft-repeated design for globular loudspeakers. 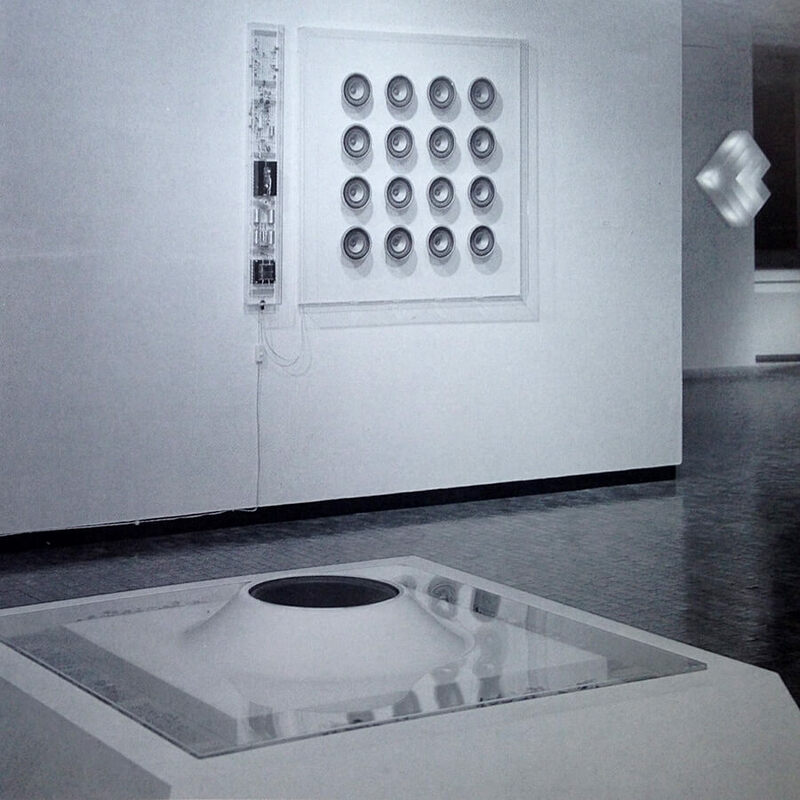 The device’s resemblance to Giers’ Zensiertes Radio and Multivibrator—both of which were developed in 1969—indicates that perhaps the PE II was an updated version of his earlier works with loudspeakers and circuit boards. This one emits random tone sequences that will only be repeated after one billion years, according to Giers’ website. Giers expounded on this idea with other projects. 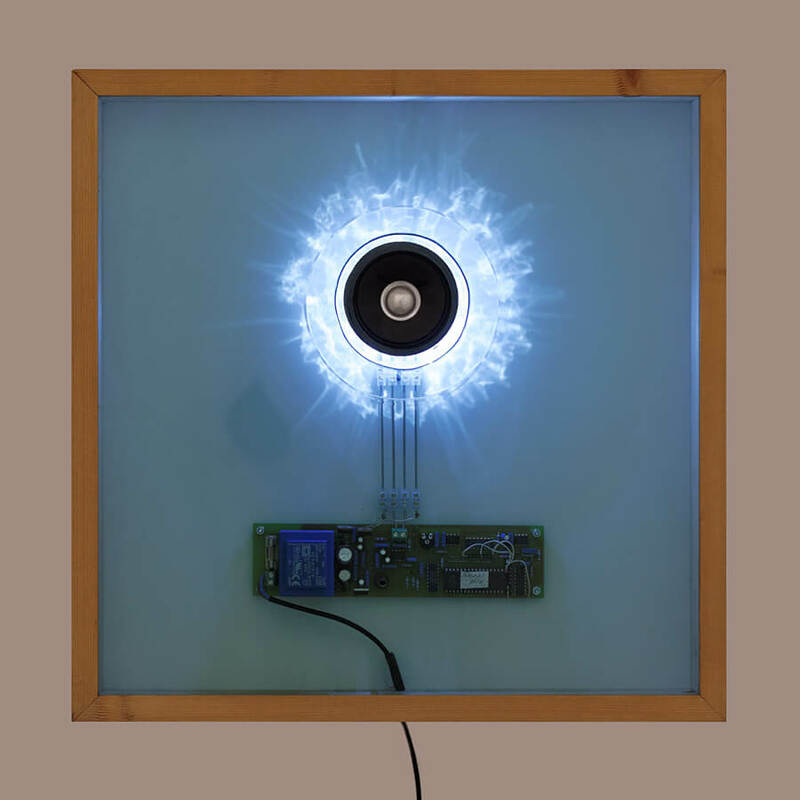 Giers’ most famous piece is an interactive work that combines visual and sonic arts by allowing the viewer to manipulate electronic sound emissions by stimulating the circuitry with skin-to-metal contact. The tones change based on how the user touches the huge “hands” and what parts of their skin and body they use to conduct the electricity. 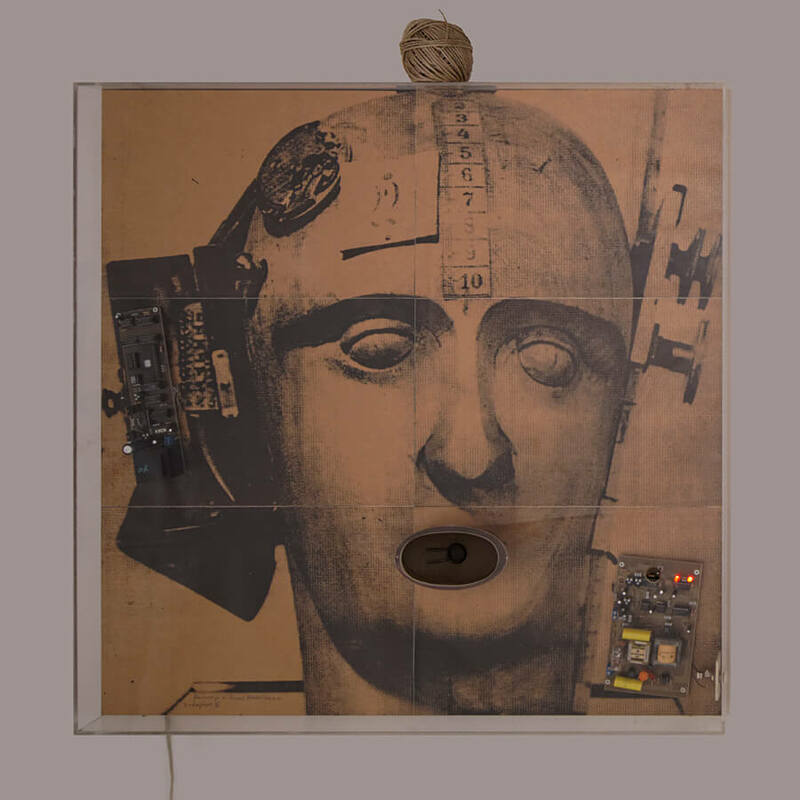 Its resemblance to the PE II indicates that it was part of a similar series and line of thought in Giers’ body of work—but it serves a different purpose entirely. This one produces shrill sounds and flashes of light that the user cannot turn off because the circuits switch to an internal energy block connected to a random generator when the main connector is deactivated. Thus a user would have to destroy the piece entirely to stop the emissions. This device enacts a Cage-esque concept by emitting aleoric tone sequences that will only repeat after 54 million years. The four oak chairs can “speak” to one another without human interaction, as they form a base for the electronic circuitry hidden inside their backrests. Humans can influence the “conversation” by sitting in or touching the chairs, which causes the chair to go silent. In that sense, the chairs “listen” to users who participate in their dialog. A generator “plays” these three radios in a random sequence. Giers made several portraits of famous historical figures using light and/or electronics, including Albert Einstein and this one of Austrian artist and author Raoul Hausmann. 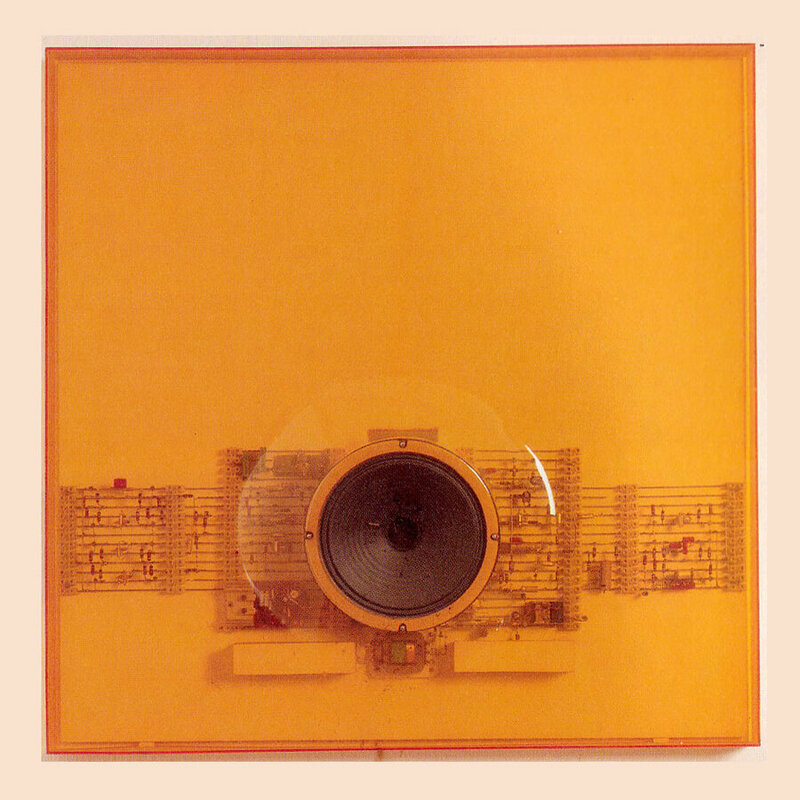 This one apparently works something like a telephone that communicates in a dadaist language.